Jenny Bullis has been in marketing and advertising for over 20 years, working at agencies, brands and TV. 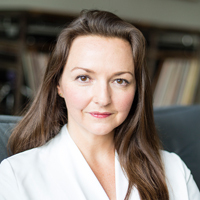 She held senior marketing roles at British Telecom, Sainsbury's (the UK Grocer), and ITV (UK National broadcaster). She has also lead data, ad-tech and analytics for Omnicom Media Group running Annalect across EMEA, and most recently at GroupM as CEO of Essence EMEA and CSO of WPPs own data technology, mPlatform. Jenny is a proud Londoner, living in North London but travelling and working extensively across Europe meeting clients, colleagues and of course family.